Pension reform has featured high on the agenda of OECD countries in recent decades. As a result of growing life expectancy and low fertility rates, most member countries are already experiencing declines in the size of the working-age population relative to the older population, and this trend is set to continue into the future. One of the more serious implications of this development is the threat posed to the solvency of public pay-as-you-go pension schemes. Labour shortages are another scenario troubling policy-makers and employers alike. Parts of this chapter are based on Chaps. 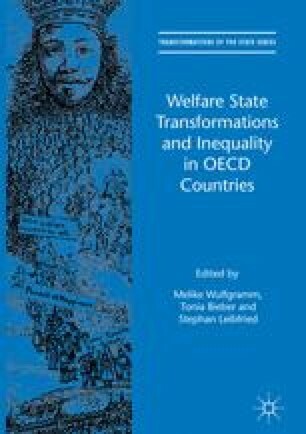 3 and 6 in J. P. Heisig, Late-career Risks in Changing Welfare States: Comparing Germany and the United States since the 1980s, Amsterdam: Amsterdam University Press, 2015.